AT&T Office@Hand Company Phone Numbers can be assigned with a different name or label. 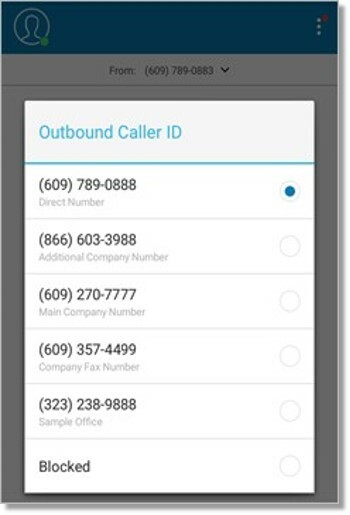 It helps both the Account Administrator and Users to easily locate the number when configuring the advanced call handling rules, outbound Caller ID, or reassigning a direct line. This feature helps you save time spent in going through a long list of numbers in your Office@Hand Online account, Desktop App, and Mobile App. Only Account Administrators can set the label or name for your Company’s Phone Number. 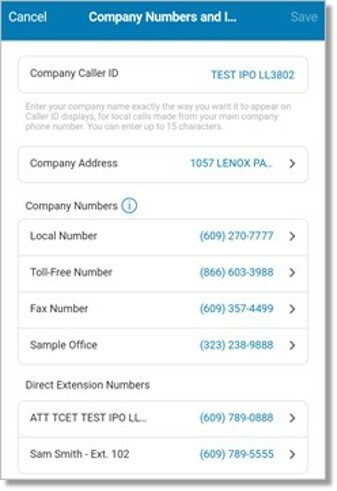 If you are an Administrator, see Setting the Company Phone Number Name or Label to learn how to assign or change the name for your Company’s Phone Number. 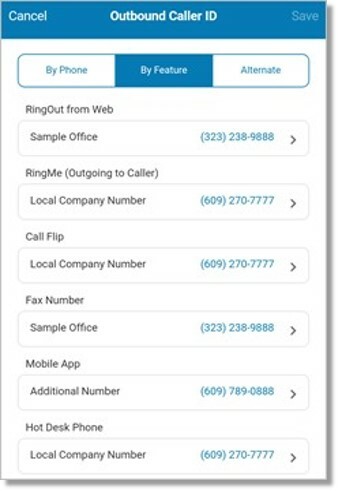 Outbound Caller ID – When selecting an Outbound caller ID for RingOut from web, RingMe (outgoing to caller), Call flip, Fax number, Additional desktop app, and Common phone, you will see the company phone number label in the selection list. You can go to My Profile > Extension settings > Outbound caller ID, and then tap the By Phone, By Feature or Alternate tab. 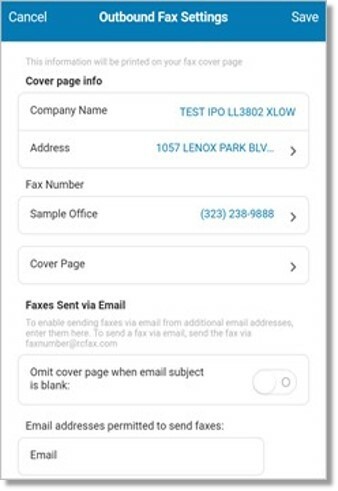 Outbound Fax Settings – When selecting the Fax number, you will see the company phone number label in the selection list. You can go to My Profile > Extension Settings > Outbound Fax Settings. Phone System – Updated labels can be seen in this section. Go to My Profile > Phone System > Company Numbers and Info. Mobile App Settings – Updated labels can be seen in this section. Go to My Profile > Mobile app settings > Caller ID.